This book is ideal for anyone just wanting to visit classic and well known film locations and would certainly wet the appetite for purchasing a further developed tour book. This book was published in 2011 and edited by Scott Jordan Harris. It covers the years 1927 to 2008 and includes special sections for the Statue of Liberty, Woody Allen, Sidney Lumet, Spike Lee and Martin Scorsese. 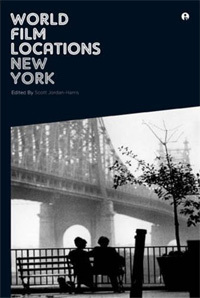 Beginning in 1927, the first part of this book includes film locations from The Jazz Singer, Speedy, 42nd Street, King Kong, The Lost Weekend, Miracle on 34th Street and the Naked City. 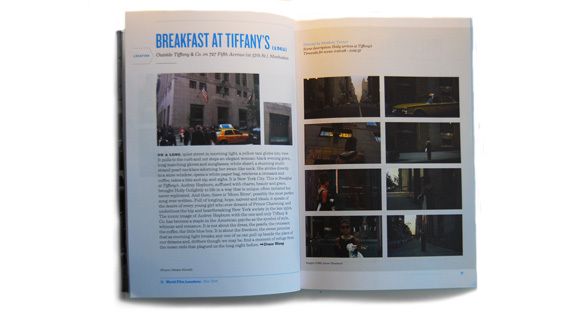 In the following section, films such as On the Town, It Should Happen to You, The Best of Everything, Pillow Talk, Breakfast at Tiffany’s, Rosemary Baby and The French Connection are featured and include film screen shots, time codes and description for the scene as well as the actual location. Such classics as Annie Hall, Saturday Night Fever, Manhattan, The Warriors, Ghostbusters, Wall Street, Working Girl, When Harry Met Sally, The Fisher King and Malcolm X are also featured in the book. The documentary of Philippe Petit, who walked across a metal cable, 1,350 feet from the ground, from the north tower of the World Trade Center to the south tower in 1974 is also featured. The Frenchman spent 45 minutes on the cable whilst onlookers gazed up in amazement. 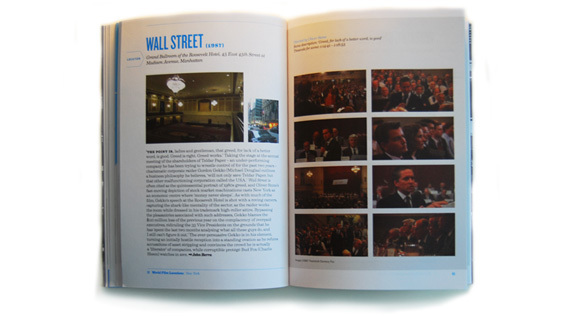 There are colour photographs throughout this publication with illustrated maps to help guide the reader as well as a Filmography index showing the year the film was made and the page reference. 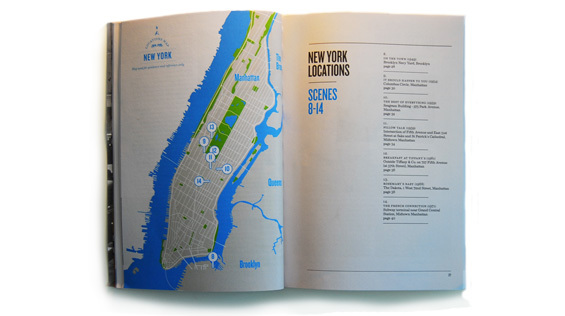 otsoNY Comments: This is a very useful tour guide to New York film locations and I am extremely grateful to the editor for mentioning OTSONY in the Go Further section. With an easy to follow index and the use of screen shots, the dedicated film pages are nicely arranged and the only real drawback to this book is the lack of films available.